Its 11am – I’ve already got frozen snot across my face and my buff has frozen with my breath. The goggles I loved earlier in the week have failed me and I feel like I’m in a white out as they’ve misted up. It was windy and cold as we headed up onto the Cairngorm plateau on Thursday, in search of somewhere to spend the night. We spent most of the day leading each other on navigational legs, predominantly heading into the South-Easterly wind. It was a time for head down trudge and holding on tightly to the map. Having lost one person from the group at the start of the day due to fitness, the pace had suddenly quickened and as we had to start breaking trail through the deep wind slab it was a lot of effort to keep up a good pace to keep from being cold in the wind. Looking for obscure contour features in these conditions was a test of endurance more than it was of ability. As you can imagine I’ve never been so happy as when we reached our snow hole spot at Ciste Mhearad at 3pm. Especially when we found old snow holes which we could get away with extending. It still took 3 hours of digging before we could sit in relative comfort for an hour of melting enough snow to eat freeze-dried food before we headed out for night navigation practice. The one thing I’ve been both looking forward to and dreading at the same time is snowholing on the expedition section of the Winter Mountain Leader training. My technique for digging leaves a lot to be desired (as had been confirmed earlier in the week), and I would have still been there at midnight if I had to dig one on my own. I’d rather walk off the hill in a blizzard than spend 3 hours or more digging into the hillside. I’d night nav any day but dig another snow hole? No way! The trick to snowholing in comfort is a good bivvy bag, a thick thermarest and a good sleeping bag. I had none of these as I’d borrowed kit from Glenmore Lodge to save weight on my train journey, which meant I had a decent bivvy bag, but a thin sleeping bag and one of those thin foam mats you give Duke of Edinburgh groups with an apologetic face because you know they’re not going to keep out the cold. I did however pack a second warm jacket and another hat so that I could sleep in relative comfort – when I did wake it was only because my leg had started to go dead lying on the hard ice. Oh and for a wee about 3am but there was no way I was going outside, so I crossed my legs till dawn. Cooking in a snowhole is a case of high calorie/ low taste food – boil in the bag or freeze-dried and a lot of snacks. I’d usually try to drink a lot of fluid at night when out on trips when I know I’ll struggle to hydrate during the day, but faced with a trip out at night for a wee I limited the bedtime drinks. I was lucky to end up spending the evening with Nigel, Glenmore Lodge’s navigational guru who gave me and Jo plenty of top tips for navigating in horrendous wind using only contours. We both aced the challenging navigational features we had to find. Nigel gave us a range of obscure features, some of which like Marquis Well where hard to distinguish in the frozen landscape. It was a great lesson in navigating just using contour features – using the shape of the landscape to identify your location. From an obscure feature on Cairngorm summit I had to find the cairn and Jo had to find the weather station. So we wandered on a bearing in separate directions with a fair amount of praying to find the right spot. I’ve never been so happy to find a trig point at 9pm on a Thursday night in a 40 mph wind and a sideways blasting of snow. Nigel’s top tip is ‘travel to unravel, move to prove’ – always check where you are by moving around and seeing what the landscape does. He also recommends orienteering as a means of excelling in micro navigation, learning to read contours without using bearings and learning how to walk on a bearing without setting your compass (that one is really quick but seemed like magic in the dark and howling wind). Jo and I got back to the snow hole about 10pm and both of us slept relatively well considering the cold (and urge to pee). Nevertheless I was pleased when morning came and I could head out into a calm morning. There’s nothing like a wild wee when you’re not worried about your bum freezing in the wind! The trouble with it being a gorgeous morning was that our navigational challenges were going to have to be a lot more difficult, given that we had such good visibility. In the glorious sunshine we bagged Cairngorm summit for a second time. We then headed down into Coire Raibert to a couple of contour feature. It was then my turn to lead the group and of course my leg was a relentless ascent through wind slab, break trailing all the way up to Stob Coire an T-Schneachda summit. This was a brutal leg in the blazing sunshine with heavy packs so I was relieved to reach the top. Just look at the view! From here we bagged the summit of the peak otherwise known as 1141, before we descended down to the ski runs and the path back to the car park. After fueling up with my third cake of the day and a second hot chocolate, we each got a debrief for the week. I know my log book needs more work – but otherwise I just need to get out and get the required number of days in before I book the assessment. 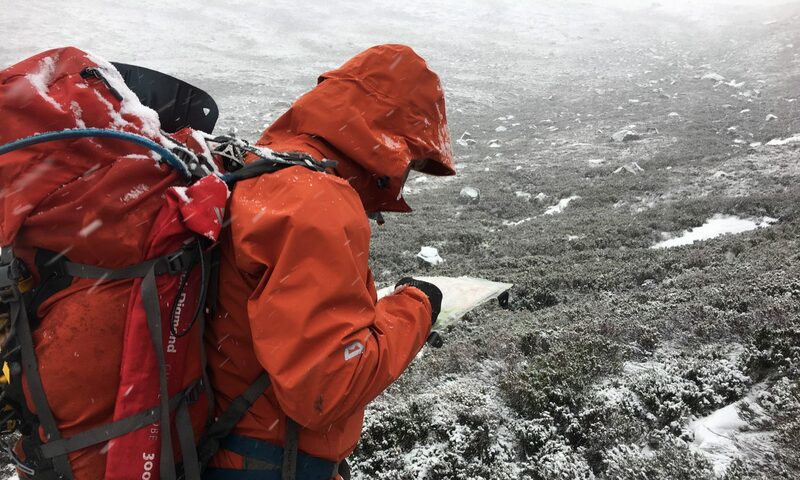 Prior to assessment I need to do another 40 Quality Mountain days, but that doesn’t include days out leading groups or days which aren’t the definition of ‘Quality’ – long or complicated. I also need to have done 10 grade 1 climbs to prove my confidence on steep ground – I don’t see this being an issue as I’m planning winter climbing trips. 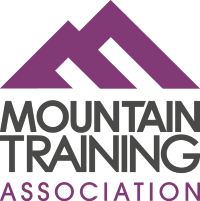 I headed into the Winter Mountain Leader training being a bit non-committal about whether I’d do the assessment since at the moment it’s all for personal development. Despite a challenging week I’ve realised I have more confidence that I thought I did in winter and while I have a lot to do, I’m super keen to work towards the assessment in the next few years. Here’s to more winter adventures!!! Really enjoyed reading all this. I think it a great thing to do for personal development.